You don’t need to know what the circle of fifths is. You don’t need to know how to read bass clef. You don’t need to know how to play a chord. You don’t need to play on key. In fact, you don’t even really need to know what a measure is or how to play on tempo. All you need is a boatload of attitude and a pair of glorious zebra print pants. That’s what it takes to be in your own 80s hair metal band. First you get the style just right, and then you can focus on those other minor details later. After all, who needs musical accuracy when you can cultivate the kind of look that will make your fans swoon? This Hair Band Rocker costume for men helps get you in prime shape for leading your own 80s hair band. It comes with the black tattered top that gives you that aloof bad boy look to drive the crowd wild. The sleeves are made of mesh to give the audience a taste of your muscles (or the gun show if you will). The pants are made of a form fitting material that will hug your legs like a pair of skinny jeans, which is exactly the kind of thing that your fans will love. 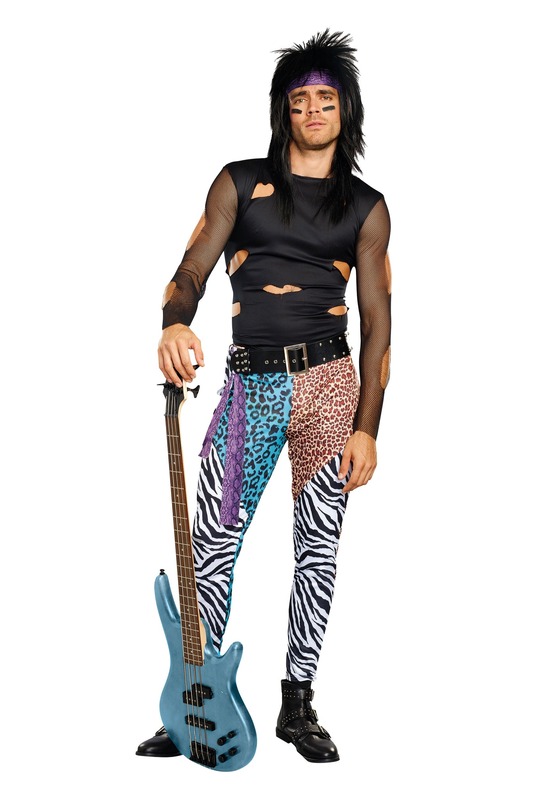 Of course, the pants have zebra print and bright blue leopard print to help make you feel like a wild animal while you boogie down on the stage. Just make sure you have some teased hair to match your new intense 80s style! 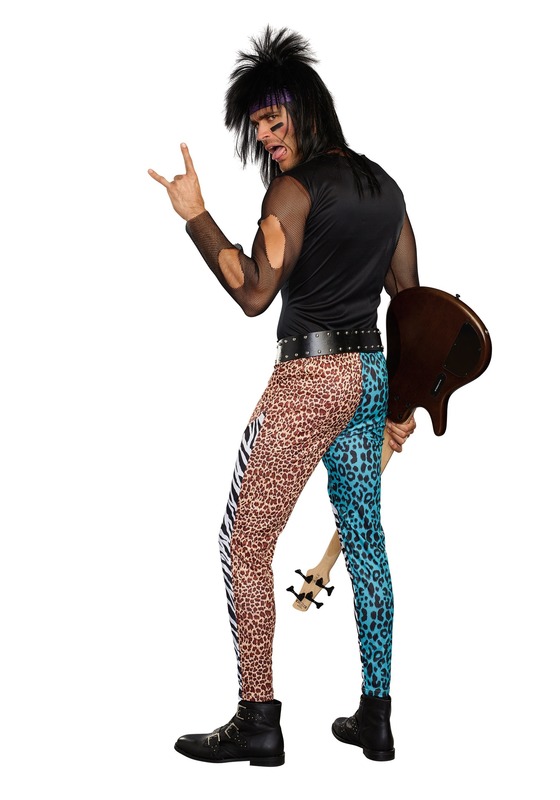 Once you rock this men’s rocker costume, you can be a one man show, whether or not you have musical prowess! Or maybe you can check out the local want ads for bassist openings—any band will be ready to add you on as their newest member.